To meet ever increasing traffic capacities and road safety requirements, and in an effort to decrease travel times for commuters, Colombia’s national infrastructure agency ANI is expanding the tunnel with a second, 4.6km tunnel that will run parallel to the original. 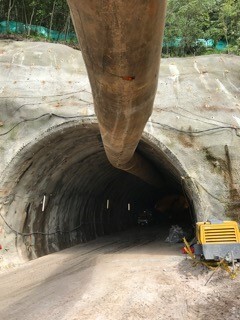 Supporting the immense excavation effort required, a 250-300 HP 460 Vac motor powers the main fan ventilating the tunnel. To control the fan, an AuCom EMX4i 352B was the starter of choice. Macing SAS, authorised AuCom distributor in Colombia, supplied and successfully commissioned the EMX4i as quickly as possible to meet the urgent need of the project. 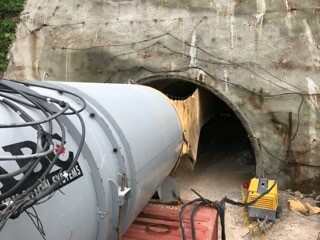 Thanks to Macing SAS, the ventilation system was up and running on schedule, preventing any delays in the construction of the tunnel. Impressed with the performance of the EMX4i and the support he’s received from AuCom, Martin is now working with the project engineers to supply EMX4 starters for the ventilation system in the completed tunnel.